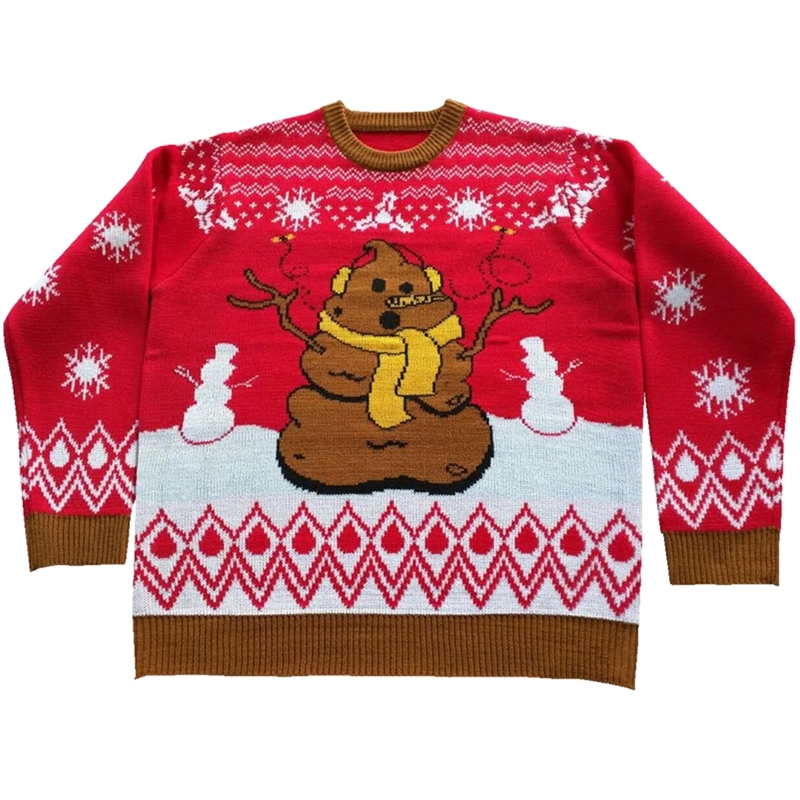 have the crappiest Christmas ever in the Crappy Holidays Adult Ugly Christmas Sweater. Step aside Frosty, there's a new magical entity that all the neighborhood kids are excited about. As depicted here, we have Crappy in the foreground wearing his yellow scarf and ear muffs. He cannot smell himself because he has a carrot for a nose. The two flies hang out with Crappy because they dig his odor. The background has two snowmen--one on each of Crappy's sides. The ground is white because it has been pelted with a thick blanket of snow. The sky is red and there are holly and snowflake designs around the neck. There are pretty snowflakes falling down the arms--too bad they're not brown though. The sweater contains brown trim. Crappy Holidays to all, and to all a good night.